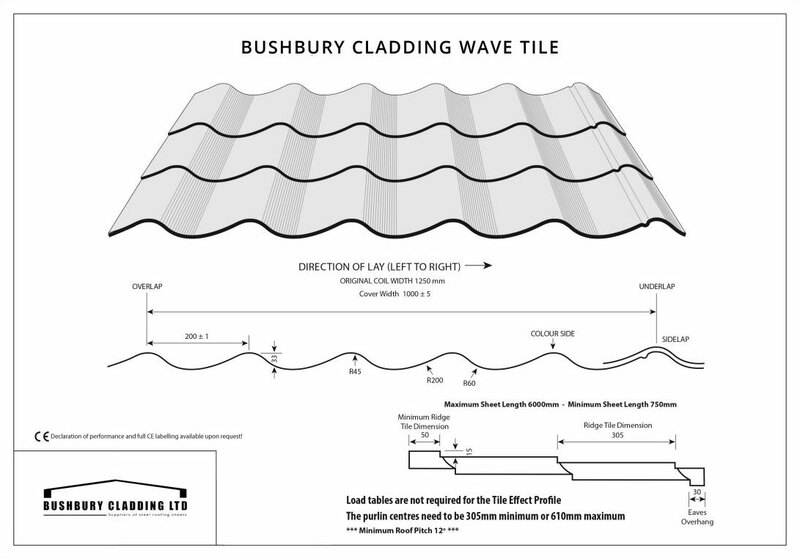 Bushbury Cladding Ltd supply stunning galvanised tile effect roofing sheets that can be altered to suit your exact specifications. 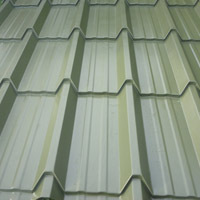 Our quality tile effect roofing has a thickness or gauge of 0.5mm, and can be cut to any length up to 6m, as well as being available in various finishes including polyester paint and plastic coated. 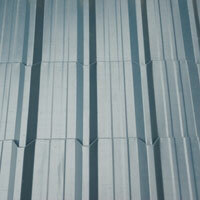 Whatever your requirements may be, Bushbury Cladding Ltd can help you find a solution with our tile sheets range. 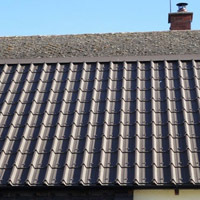 Our tile effect roofing sheets are designed to save you time and money, covering 1m when fitted and providing a great, lightweight alternative to traditional slates. 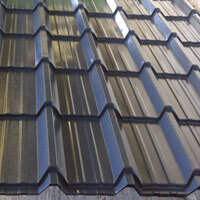 These advantages mean that this is one of the most popular products we offer, particularly with roofing contractors. Our clients love the great range of colours we have on offer in our tile effect roofing sheet range, and once you see what we have to offer, you will too. 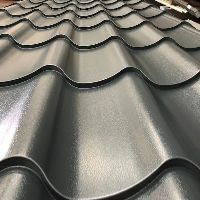 At Bushbury Cladding Ltd, we can also provide you with flashings to match the colour of your tile sheets and fixings with colour coded caps, making this the perfect roofing solution for agricultural buildings, domestic premises, new build homes, workshops and much more. 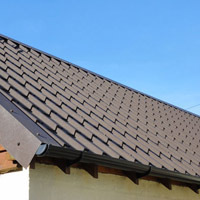 Tile effect roofing sheets are a great roofing solution, suiting a variety of purposes as well as offering many advantages over other types of roofing, such as traditional slates. 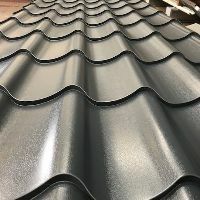 All types of tek screws with rubber sealing washers or (steel roof fixings) are also available for our tile effect roofing sheets, and come with colour coded caps to match the steel roof sheet colour. 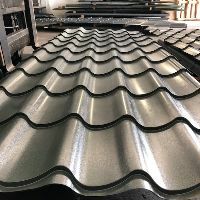 Our steel tile effect roofing sheets are available in two different finishes and a variety of different colours, meaning that you can find the perfect roofing solution to meet your specifications. PVC PLASTISOL: Slate, van dyke brown, juniper green, black, goosewing grey, terracotta, merlin grey, olive green, plus many more , please call us! 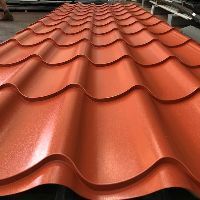 If you are considering using our tile effect roofing sheets and would like to see these colours for yourself, colour samples can be sent at your request free of charge! Please contact us to receive your samples today. Tiles and slates certainly look aesthetically pleasing, but they don’t have the robustness of metal tile that can withstand all kinds of extreme weather without damage. Broken or slipped tiles can cause leaks and water damage to your property, and concrete roof tiles actively absorb water, adding to their weight, whereas water and snow will simply slide off a metal roof. The weight of ceramic and concrete tiles can be problematic if your house isn’t built with those weight-bearing considerations in mind. Lightweight tile effect roofing sheets, on the other hand, are quick and easy to install and will save on your labour costs without compromising the structural integrity of your property. 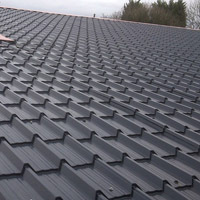 As tile effect roofing sheets can be used at much shallower pitches than traditional roofing materials, you can create a wide range of interesting effects that wouldn’t be possible otherwise. And you’ll also enjoy other modern benefits, like superior heat regulation for lower energy bills. 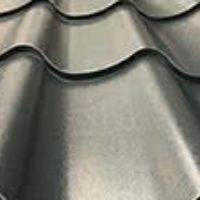 Tile effect roofing sheets are the perfect solution to all your roofing needs, and at Bushbury Cladding Ltd, we can provide you with the best materials available for your roofing project. To see what we can do for you, contact us today on 01902 229412 or send us an email at info@bushburycladding.co.uk. Alternatively, take advantage of filling out our quick and simple online contact form to enquire about our tile sheets, and one of our friendly, knowledgeable team members will be more than happy to help you. 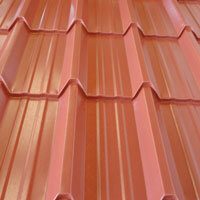 Bushbury Cladding recently supplied Oxley Lodge nursing home in Wolverhampton with our tile effect roofing.